Fair Trade is a trading partnership based on dialogue, transparency and respect, that seeks greater equity in international trade. It contributes to sustainable development by offering better trading conditions and securing the rights of marginalized artisans and workers – especially in the developing countries. Fair Trade Organizations respect the UN Convention on the Rights of the Child, as well as local laws and social norms in order to ensure that the participation of children in production processes of fairly traded articles (if any) does not adversely affect their well-being, security, educational requirements and need for play. Trading organizations working directly with informally organised producers disclose the involvement of children in production. 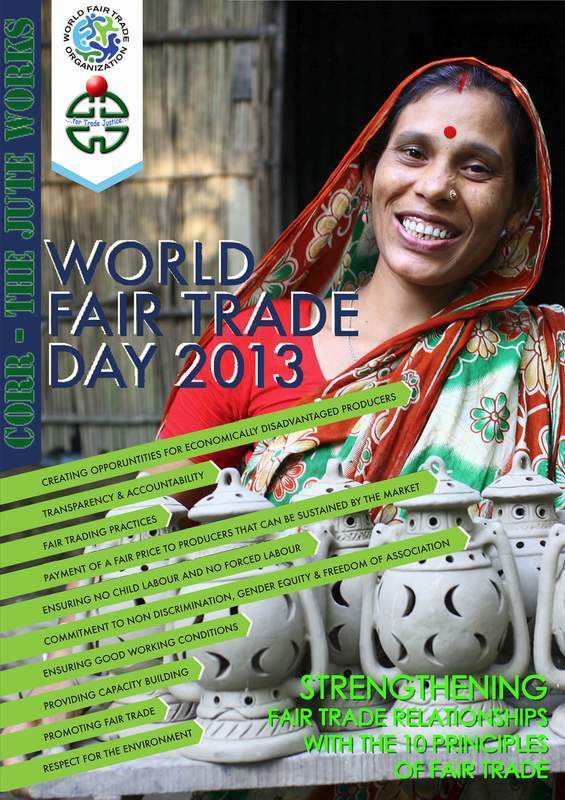 Fair Trade Organizations trade with concern for the social, economic and environmental wellbeing of marginalized small producers and do not maximise profit at their expense. They maintain long-term relationships based on solidarity, trust and mutual respect that contribute to the promotion and growth of Fair Trade. An interest free pre payment is made if requested.